It is so breathtaking here, I don’t think I’m ever coming home! Click here to see if you won the J.Crew Factory Giveaway! Hope you’re having a wonderful week, xo!!. the view is so pretty and love what your wearing, love all your outfits as well. Oh my gosh I can feel the warmth through the photo! Have a great trip! Beyond jealous that you are on the beach! It looks gorgeous! OMG!! Where are you Rach?? This is an amazing place!! You look beautiful! What a beautiful look, Rach! So glamorous! Adore! Love everything about this: the skirt, the hat, sunglasses..
Ahh, I love the beach. Lucky. Cute suit! You look gorgeous – love the floppy hat & striped skirt…enjoy your vacation!! you are adorable under that huge hat!!!!!!!!! Not the pictures I want to see right now ;) It’s FREEZING here and this just makes me miss spring/summer even more… Hope you enjoy your time! i wouldn’t want to go home either! awesome hat, sunnies and beach outfit. You look absolutely gorgeous and the scenery is to die for! i am SO jealous that you are somewhere warm enough to wear a swimsuit. these photos are amazing…you look so pretty. Love that top picture. You look so classic. gorgeous beach outfit! you look fabulous. I’m so jealous! This looks like heaven. Seriously. I miss having sunkissed shoulders and not wearing a zillion layers! Enjoy every second. WOW how amazing! That is definitely looking much better than the 40-degree weather we’re having right now. :) And I love that swimsuit! I wish I was on a beach some place warm, instead we are knee deep in snow. At least it shouldn’t long. You look radiant. I would love to be near the beach again. Just a few more days and I’ll be near a bay… does that count? ps: love the whole outfit. beautiful. I love the hat. F E L I Z N A V I D A D!!!!!!!!!! you look gorgeous! i’d love to be somewhere tropical and warm right about now! such a cute outfit. love that skirt so much! Darling, darling, darling! And the scenery is unbeatable. I want to be on the beach in December! this is totally gorgeous and i am jealous! The view looks amazing! I would love to be you right now! You look so lovely! Have fun! Love that skirt! I need a vacation! You look absolutely beautiful! Hope you’re having an amazing time. Super cute. Wish I was on vacay right now! It looks so lovely there! We’re about to get slammed with a snowstorm so I’m super jealous. Great photos! In love with your hat! such a gorgeous post! I really need to go to the beach! Completely stunning! I LOVE these photographs. The last photo is absolutely gorgeous. 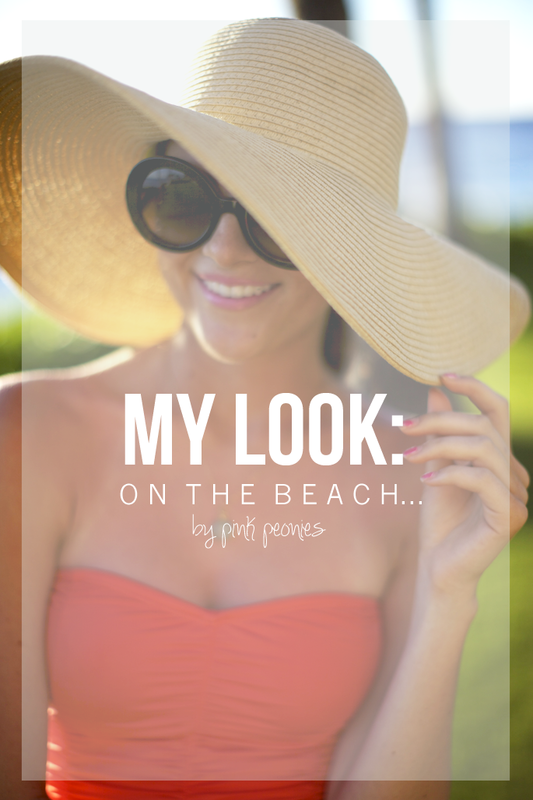 Love your beach style! Looks amazing! And you look great too. I’m heading to the beach with my family for two weeks now. I can’t wait!!! You look so gorgeous! LOVE the last picture! SO jealous! Beautiful photos, love your skirt! that suit is amazing! i’m going to recreate this look when i head to hawaii in a few months! only you can make being on a beach SO fabulous! love this! So so jealous!! These are beautiful photos, Rachel! Your blog is such a cutie!! You’re so pretty and you’ve a lot of style! The skirt is cute but i cannot believe it is 60+ dollars! There is an almost identical one that Target was selling this summer that was only 19.99! I’m so jealous! I’d love to be on the beach right now. Oh my gosh this is so beautiful I cannot even express it to you! Great beach look – enjoy Hawaii (Maui)? Happy holidays – thanks for all the stylish inspiration! Such a cute beach look, you rock a one piece! You look gorgeous and the pics are AMAZING!